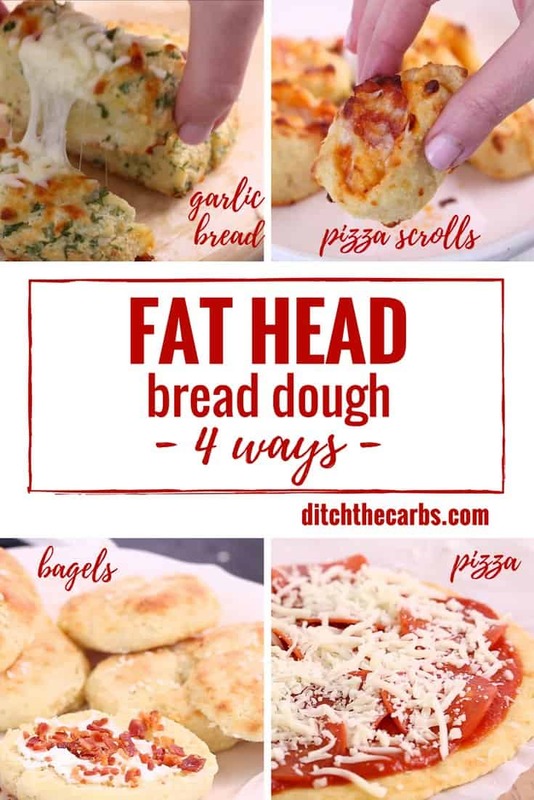 These are the best low-carb mozzarella dough recipes (a.k.a Fat Head bread dough) – you’ll fall in love with easy low-carb and gluten-free bagels, garlic bread, pizza and pizza scrolls. 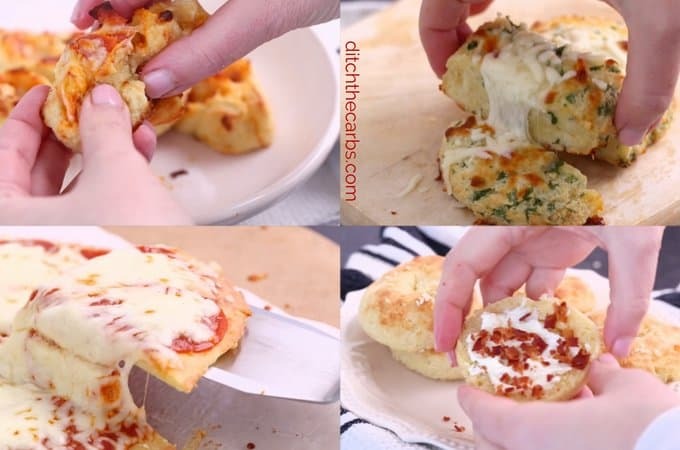 Scroll down to watch the amazing viral cooking video to see how to make these 4 recipes using low-carb mozzarella dough. What Is Low-Carb Mozzarella Dough? This simple low-carb bread dough is made with mozzarella, cream cheese, an egg and almond flour (or coconut flour, see recipe notes below). The low-carb bread dough is naturally grain free, wheat free, low carb and keto. Everyone LOVES it, even unsuspecting carb lovers. Once you try low-carb mozzarella dough, there is no going back to regular wheat based dough. And don’t even think about eating the gluten free ultra processed pizzas out there. Read this post to understand why gluten free junk is still junk. It was the brain child of Tom Naughton who is the genius behind the Fat Head movie – hence the original name, Fat Head dough. Mozzarella dough is so versatile, and so simple. It is the Holy Grail of low-carb bread doughs. 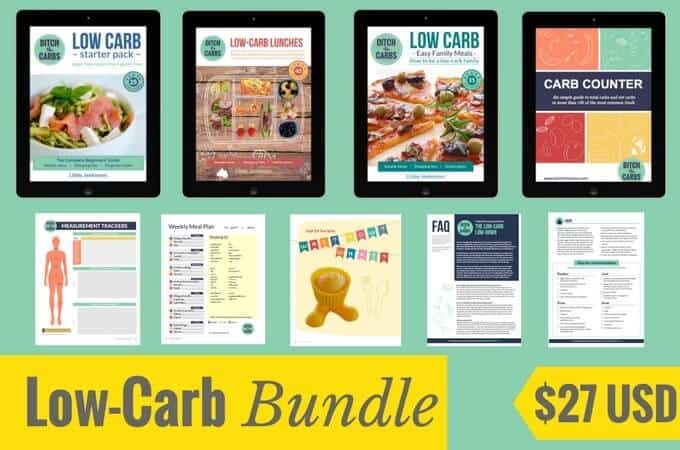 Simply learn how to make the one basic low-carb dough recipe, and you can choose to turn it into any one of the 4 simple recipes below. 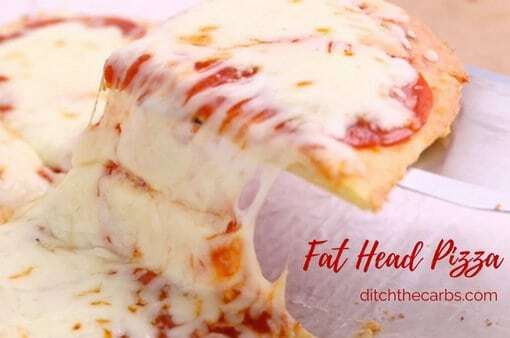 If you are a beginner, take a look at this post to see my step-by-step instructions on how to make Fat Head pizza – a.k.a. low-carb mozzarella dough. 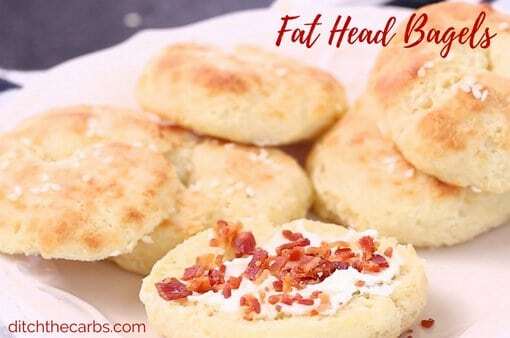 Fat Head dough (mozzarella dough) is the NUMBER ONE recipe for the entire site. If you only ever try one low-carb recipe, this is it. It has won over many traditional pizza lovers who are never going back. See the conversion below to see how to make these using almond flour or coconut flour. Add the egg, salt, and any other flavourings, mix gently. Use the basic mozzarella dough in a variety of ways detailed below. Nutrition values are for the ENTIRE dough recipe. Divide the values by how many slices or servings you make. Place the low-carb dough in between 2 pieces of baking parchment/paper and roll into a circular pizza shape (see photos in this post). Remove the top baking paper/parchment. If the mixture hardens and becomes difficult to work with, pop it back in the microwave for 10-20 seconds to soften again but not too long or you will cook the egg. Slide the baking paper/parchment with the pizza base, on a baking tray (cookie tray) or pizza stone, and bake at 220C/425F for 12-15 minutes, or until brown. Add 1 tsp of baking powder to the dough mixture, mix thoroughly. Divide the mozzarella dough into 6 equal sizes. Roll into balls then into cylinder shapes as shown in the video. Fold the ends of the cylinder shapes in a circle and squeeze the two ends together to form a bagel shape. Place on a baking tray and sprinkle with sesame seeds.Bake at 220C/425F for 15 minutes, or until golden brown. Add 1 tsp baking powder, 1 tbsp parsley, 1 tbsp garlic to the basic low-carb dough recipe, mix. 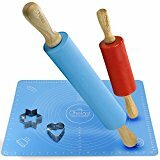 Place the dough onto a baking tray/sheet pan lined with baking parchment. Form into a garlic bread shape. Cut little slices into the low-carb garlic bread. Mix 2 tbsp melted butter, 1 tsp parsley and 1 tsp garlic. 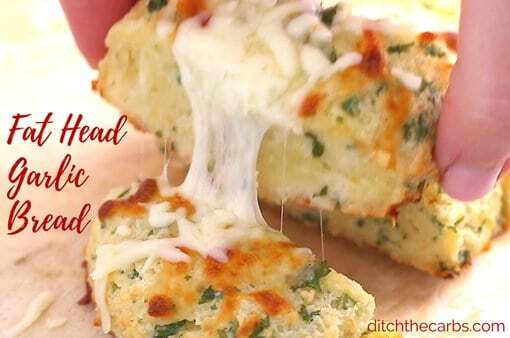 Brush over the top of the low-carb garlic bread, sprinkle with more cheese. Bake at 220C/425F for 15 minutes, or until golden and soft. Spread tomato sauce or tomato paste (watch for any added sugars) over the dough, sprinkle over diced pieces of pepperoni and cheese. Roll up into a long sausage shape. Cut the scroll into small slices. Place each pizza scroll on a baking tray/sheet pan lined with baking parchment. Add more cheese then bake at 220C/425F for 15 minutes. This is the video that has gone viral all over the internet – all that gooey cheese and simple recipes make them super popular family recipes too. How long is the bread good for and what is the recommended storage method? Fridge or counter top? I made this today. I didn’t use exact measurements but it came out very well. I just used any shredded cheese I had which ended up being a cup of Aldi Italian blend and 3/4 of shredded Monterrey Jack. I eyeballed the cream cheese, but I did measure the almond flour. After mixing, I ended up pressing it onto a pan and baked it as if it were a flat bread. I cooked it for about 20 minutes because at 10 it didn’t seem done so I added another 10 which might have been a little too long because it was a little tough, but definitely not too tough to enjoy! I think next I’m I’ll shoot for 15 minutes. Now I can have avocado toast again! Thank you so much! Making the garlic bread as I type. It is in the oven. I’ve never made it before today, but wanted to try for a long time. The problem I’ve had on my first time is – even before putting it into the oven the dough had already flattened and spread. It is probably no more than 1.5 inches tall. That’s a disappointment! It sounds like your mozzarella cheese may be too wet (and hence soggy drooping dough). You may need to have added some extra almond flour/meal to make it a little sturdier. Hello! Please, I NEED YOUR HELP! I’ve used plain baking paper, buttered paper, then I changed to baking foil, buttered baking foil, and ALWAYS DE THE SAME PROBLEM: STUCK dough. Please, can you give me any piece of advice? Thank you very much!! OK, so never ever use foil, as per recipe it has to be baking parchment. Are you sure you’re not using baking paper? Maybe you need to add some additional almond flour so the brand of cheese you are using isn’t too sticky. Maybe try to use slightly wet hands to handle the dough too. Hi … can I freeze made dough or alternatively freeze the cooked rolls? It’s best to cook then freeze. The raw egg and warm cheese shouldn’t be frozen without cooking. Place them in an airtight container, and with sheets of baking parchment in between so they can easily be defrosted, just removing one at a time. Hi- I’m sorry, but I can never find your videos within the recipe pages on any of them. It says scroll down and I do, but I am unable to find them. Are they on Youtube? Help! Thanks! Looks good but why so many calories? fat content 98g lot of fat. 24 carbs seem high to me to. Am i wrong? That is the nutrition for the entire recipe. It’s then up to you how many slices you cut the loaf into, how many bagels you make etc. I couldn’t get the nutrtional panel to work either. 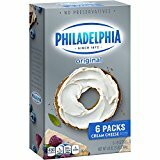 Mozzarella has 1.9 g carbs per 170 g, cream cheese 3.5 g per 2 tbsp, almond meal 3.7 g carbs per 85 g, and an egg 1.1 g carbs. Total 10.2 g. Even accounting for different brands of ingredients with slightly different numbers, I can’t work out how it’s 24 g of carbs for the whole recipe. Unless I’m doing something wrong? Oh, also, I didn’t mean to sound ungrateful with that comment. This recipe is amazing and has changed my life! Thank you! I made the garlic bread, and it tastes very similar to Red Lobster’s cheddar bay biscuits. I am so happy about this! Thank you!! These recipes look so yummy, I am trying to eat low carb but I’m allergic to eggs. 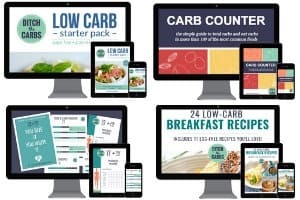 So many low carb recipes and low carb meal plans contain eggs that I am finding it very frustrating. Do you know how I can adjust the dough recipe to make without eggs? Should I add something else to replace the eggs or can it turn out ok just without any egg? Has anyone made without eggs and had the dough turn out ok? Any advice appreciated. Thanks. Hi Maureen, luckily this recipe can actually work well even without the egg entirely. Yay! In vegan baking people make a flax egg using 1Tb ground flax and mixing it with 2-3Tb of water. That might work in this recipe pretty well. My dough rises beautifully in the oven, then collapses upon cooling – any thoughts on how to fix? I made the bagel version into buns with 2 eggs and 1 tsp of baking powder. They were sticky to put in the parchment paper, but they were great. I’ve been using a shredded Three Pepper Gouda to make FH pizza dough for some time. I tried the buns with the Three Pepper Gouda and they spread out a bit more but were “Awesome!” I’ve made crackers/chips and seasoned them with different herbs and garlic and onion powder combinations from FH dough. This dough has been a great addition to our way of eating. I tell people about it all the time. Mozzarella dough is best kept AFTER it has been cooked. It’s not good to freeze the cheese and egg once it has been warmed, mixed, yet not cooked. Many readers make double batches, then cook them all and freeze the cooked pizza bases ready to add toppings, heat and go. Made a pizza. YUMMY!! The best part was that my husband loved it too!! My question is: We like a crispy crust, and I lost part of the crust when I flipped it and removed the parchment paper. Do you think a light mist of cooking spray would help it crisp and release from the parchment easier? Any particular way to store the bread after making any of the 4 recipes? If you have any leftover (and not many of us do 😉 ) it’s best to keep them in the fridge due to the high dairy content. Keep them in an airtight container so they don’t dry out. Any suggestions for a substitute when family members are allergic to almonds, coconut and all nuts?? cauliflower or zucchini instead of any of the nut flours – VERY tasty! Can I use the fat head crust for the cold veggie pizza crust that is made with cream cheese? Use flax flour/meal 1 to1 for almond flour. Our family has been following the Keto way of life since May of 2017. We love the fat head dough. I have also made it with a shredded provolone. I recently came across a shredded Three Pepper Gouda. It is amazing. Although the traditional round pizza did not get cooked well in the center. I cut off the edges and cooked it longer. Asiago works really well, also! I just want you to know that due to a dairy allergy I made these with dairy free mozzarella cheese and coconut cream in place of the cream cheese. And it was a total success!! Thank you so much for the recipe!! What a decadent treat! Melissa this is brilliant feedback!!!! I’m sure a lot of my dairy-free readers are doing a happy dance right now in their kitchens – yay! Hello, I watched the video and was wondering is that one batch of the dough recipe cut into 4 or 4 batches of the whole recipe? You make one batch of the mozzarella dough, then there are 4 ways you can use them (even more since I posted this recipe). I have even made breadsticks too. Yummmmm. I’m just wondering which Almond Flour to purchas between two Bob’s Red Mill. Personally? I usually go for almond meal / ground almonds. They seem to be cheaper and more accessible around the world than fine almond flour. Hi! I just tried the bagels and love it, but it had a eggy tasty. Is it possible to skip the yolk? Yes, some people skip the egg altogether. The bagel will be paler in colour because the yellow yolk is missing. Hi my bagels are delicious but collapsed into pancakes… and suggestions? Did you use baking powder? Perhaps your baking powder wasn’t fresh or it was older. This would make it less effective. Hi, not hating on microwave just don’t have one. So I made the recipe and it’s tasty but ugly lol!! Instead of microwave i used pot and oven …. but when I was rolling it it was super sticky so I added almond flour and still remained sticky.. and as I was making my cheesy calzone it keeps breaking. It taste good just ugly and breaking… what am I doing wrong?? Does the Garlic Bread need 1 tsp baking powder? You don’t list it here, but you do on the main recipe page for it! I would try to lower the oven temperature and see if that helps cook the centre whilst the crust browns slower. I also would look at which mozzarella you are using. The dough should be cheesy and truly combined together. I wonder if your pre-shredded mozzarella contains some wheat? Some brands do to keep the stand separated. At 425, mine was quite brown already at 10 minutes. I left it in til 12 to make sure they were done. Next time, I will drop the temp. Otherwise, easy and delicious! Libby, the recipe calls for a medium size egg; is this a US size? I know you’re in NZ and I think eggs are graded differently. I’m looking forward to trying this, but I want to make sure I use the correct egg size. I currently only have large eggs. Thanks for your reply. I’m really trying hard to follow a keto diet… alas my boys like their pizza Friday’s! You should see the tears rolling as I pick off and eat the toppings off of a dominos pizza and leave the crust (my absolute favorite part about pizza)! This looks like its going to be real simple to throw together or even better batch cook and freeze. Would you recommend freezing just the dough or cook and freeze the entire pizza like a keto delisio?? Then follow the cooking instructions or turn up the heat and cook from frozen? I am a firm fan of Fathead Pizza but tonight I am making it as garlic bread to go with our pumpkin & coconut soup (also a firm ditchthecarbs recipe favourite). Thanks Libby! Whole family is eating LCHF tonight! YIPPEEEEE – what a perfect dinner! I tried the garlic bread and it flatten and looked more like a focaccia bread. What might have I done wrong? Help! Thank you! May I ask why or how there are so many calories when the individual ingredients don’t make up that many calories? I am trying to watch calories and carbs, and trying to stay under 1000 a day. Any info would be great, thank you! Under a thousand? Are you 4 feet and 60 pounds? Any doctor or dietician will tell you it is NOT healthy to keep a diet of under a thousand calories. You will do more harm than good. Your body needs those calories. If you are trying to restrict your calories so drastically as to lose weight, I caution against that. That will actually slow your weight loss. You will starve your body and any food you eat, your body will hold on to because it doesn’t know when it may get fed again! Talk to a doctor please before you set a calorie limit. If you flip the pizza over, how long to bake it (after the 1st 12-15 minutes)? OMG I can’t believe some of the comments … nicrowaves / nag nag! !, advertising / nag nag!! … don’t you people appreciate what Libby is doing for you and the rest of us. I for one really really thank you for all you do and all I can say is please ignore the whingers and know that there are more “Libby Lovers” than these complainers. All I can say to them is dont ditch the carbs … ditch this site … leave the rest of us in peace to enjoy what this great lady is doing and and dont come back okay … bye!! Hi Libby, I just wanted to say that I love your site and recipes! Oh, and please ignore those microwave-haters: I love microwaves and would be lost without mine! It helps lots of us to make quick yummy meals and stay on track! I do not microwave ANYTHING except Sake (which I should not be drinking!). Can I do this without it? I tried the garlic bread version-out of this world! It was so good, I liked it better than the homemade garlic bread that I made for my family, and that’s saying a lot, because it’s good, too! How many servings is in one batch of garlic bread? And how many carbs for that? I ate half of the bread, it was soooooo good! Thanks for your recipes! Just mad the pizza rolls, great success! I spread the dough with a mix of home made basil pesto and tomato paste, sprinkled on some chopped up olives and fresh basil leaves, and more mozzarella cheese. Will definitely being whipping these up again and again. I can see them as being really good for packed lunches on day hikes. I used coconut flour for the first time in the pizza dough and it worked very well, which is quite amazing when you think how little coconut flour you add compared to almond flour/meal. I’m so glad you loved them. And yes perfect for a day hike or packed lunches. Isn’t coconut flour the best? Such a little goes such a long way. I love it so much I wrote an entire post on coconut flour vs almond flour. How big of a pizza does the dough make? That depends on how thin or thick you want to roll it out. Could you add extra instructions to your recipes for those people who don’t have access to a microwave oven? Great website and great ideas. Thanks. Ha ha never mind. Just saw the conversion button. My bad! The base recipe uses grams, instead of ounces or cups. Can you please advise the measurements as such? I’m getting all sorts of different answers when I google conversion calculators. Sounds amazing, thanks Libby. Had a chuckle, at 151% fat!!!! Yay! And THANKS. Do you have to use mozzarella? Or could I use a white or yellow cheddar? 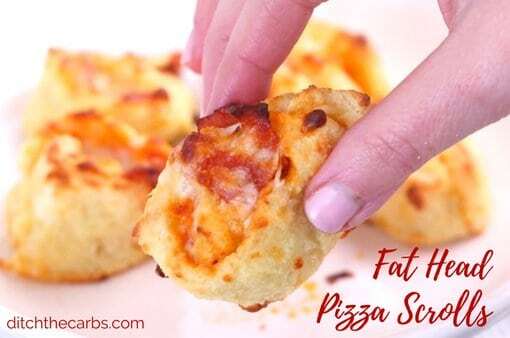 You can but those cheeses will sometimes render the fat out too much an become solid with the pizza base. Mozzarella is amazing and pliable. Can thhis be frozen after it has been baked? Can you freeze this dough to bake later? Has anyone successfully made this without a microwave? My machine died and seeing as this was the only recipe I used it for, I didn’t replace it. But every time I try making this in a pot it sticks! Argh! maybe do it on a double boiler? Any pyrex bot set over a pot of simmering (but not boiling) water would work. Also, don’t let the bowl touch the water. We seem to be quite a few who nowadays don’t want to use a microwave. Thanks for giving us these alternative instructions .😊 Now I can finally try this. The pictures are misleading. This dough does not rise like in your pictures. Oops, I want to add something: Thank you for this site! 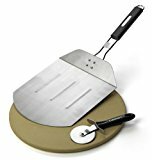 I just discovered it a few days ago, when starting keto/low carb again after a two year, 40 pound hiatus. This time its for good. I’ve already lost 4 pounds. My problem has always been not being able to stick to it because of my sweet tooth and love of bread. This site (along with a few others that I’ve found and book marked) will save the day. Thank you so much for the content, and for it being free. I don’t mind the ads, etc., if it means easy, free access to your recipes. And love that you include the nutritional analysis–many other sites don’t. Have I said thank you enough? THANK YOU!!! Its probably important to mention that using packaged, pre-shredded mozarella is probably a no no. Most pre-shredded cheeses are mixed with flours and starches to keep the shreds from sticking together, adding carbs and unwanted fillers. Best to grate your own. It really only takes a minute. I used this recipe for crackers, which would have been wonderful, had I not over salted. I have a tendency to do that. Sigh. I’m having another go at it this weekend. But can’t wait to use this dough in many other applications. Its the first one I’ve tried that didn’t have to go immediately into the trash. I classify that as a superb result!m No trash can required 😉 And yes, I agree about the pre-shredded mozzarella, you have to check labels clearly for their carb content and additives. Luckily the brand I use has neither. Shredding/grating yourself saves $$ too. Thank you for mentioning this because I was going to do that. Thanks so much for these recipes. Excited to try all 4. Question…for each of the recipes (the pizza dough, scrolls, bagels and garlic bread) are the directions for 1/4 of the main mozzarella dough recipe? You should use one entire mozzarella dough recipe for each of the 4 ways. I have stated the nutrition foe the entire dough recipe, then you can calculate how many bagels or slices you made it into. The amount of ads on your site makes it very difficult to get to your great recipes and info, and makes me not want to come back here again. Thank you somuch. Iappreciate the free recipes!!! I agree, The garlic dough, is it supposed to have 1/2 tsp baking powder? Tom started more than once he didn’t come up with this. One of his readers submitted it to him and he posted it. Garlic dough, very runny. Is there supposed to be 1/2 tsp baking flower/ It is not rising and I am disappointed. I was really excited to start the Fathead dough recipe when I noticed that a microwave oven plays an apparently essential role. Mirowave ovens are unsafe, change the molecular makeup of food, can impact health in myriad ways and I am dissapointed that a site dedicated to healthy eating this has not taken into account. Do you have an alternative for those who do not use microwaves? Firstly, thank you for the alternative information about how to do it without microwaving. Secondly, the science proves it is not an old wives tale or myth that microwaves are very dangerous. Please check the links below. Neither of your links are “science”. Just a load of clever people preying on your paranoia and making money off it. I actually AM a scientist. Use the microwave and stop trying to sound superior. It makes you sound dumb.